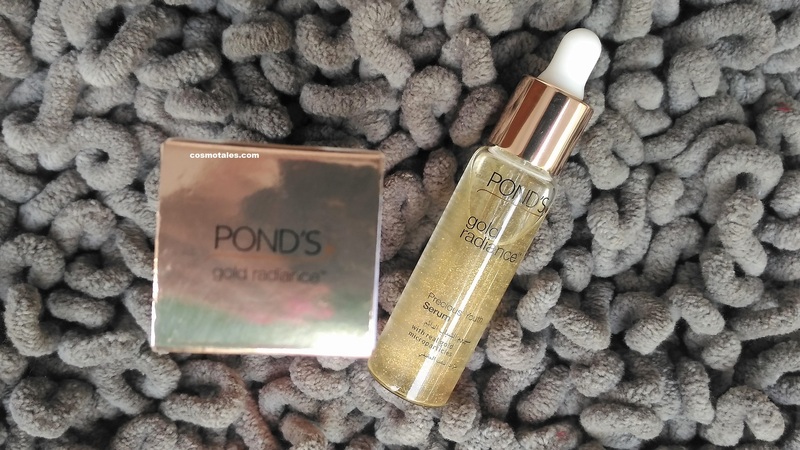 I am not a huge fan of Pond’s but this Ponds Gold Radiance Precious Youth Serum has flabbergasted me since 2 years, this one is my 3rd bottle and thought to capture and review, right from unboxing this beauty love. To be honest when I first picked it few years back, it wasn’t love at first sight though the packaging was really semi-luxurious an enchanting. But the more I used it the more my skin started craving for it and I slided towards real love side of spectrum for this beauty elixir. There are lots of goodies about this serum, so let me take the honor to review this product from the beauty conglomerate- Ponds. Read- The Body Shop Youth Cream review. The Pond’s Gold Radiance Precious Youth Serum helps you experience impeccable skin thereby restoring the skin’s nutrients. The effective serum eradicates the age spots and reduces the pigmentation marks at a cosmetic level. This Gold Radiance Precious Youth serum hydrates and softens your skin. This serum from Pond’s diminishes the early signs of ageing and boots the skin’s youthful radiance. Enriched with Vitamin B3 you can experience peppy skin and reduce age spots. 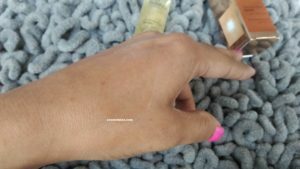 This is my Favorite Moisturizer for all weather long — The Body Shop Youth Cream– read review of this must try ultra light moisturizer. 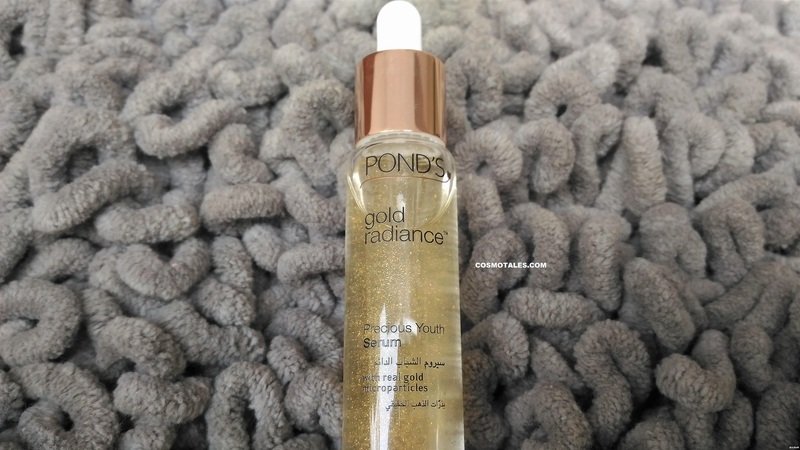 The presence of gold micro-particles in the Pond’s Gold Radiance Serum adds a natural glow to your dull and dry skin. On regular application of this effective serum, you will be able to rejuvenate your cell membranes resulting in healthier skin formation. With the advanced dermatologically tested serum, you can easily get rid of facial blemishes and freckles on your face. 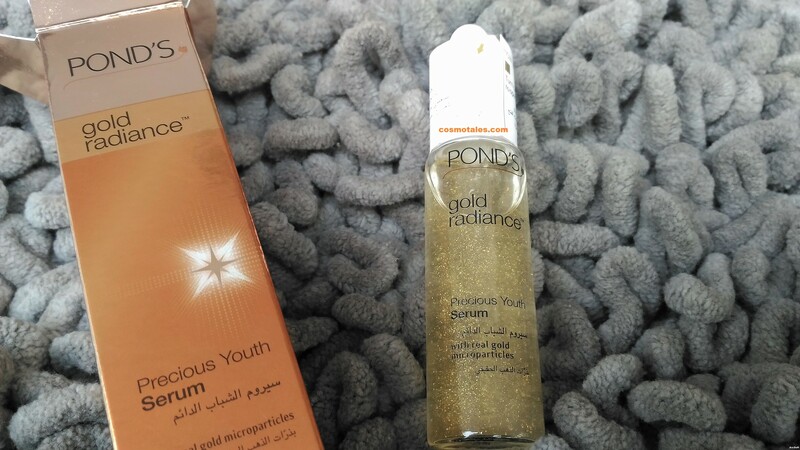 Pond’s Gold Radiance Precious Youth Serum comes in really gorgeous slim glass bottle with gold cap glass dropper- making it easy to use. The glass bottle hosting transparent serum with tiny gold particles commands a luxury class serum look and feel. The texture is kind of between runny to gel, it feels like light gel with slight sticky feel but that disappears once glides on skin. 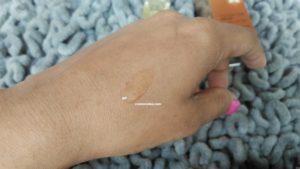 Texture is light enough to be absorbed instantly without even working, I just dab the product in the skin by l slight small patting. I am repurchasing it after 2 bottles, this shows that it has worked for me and I am in love with its efficacy. 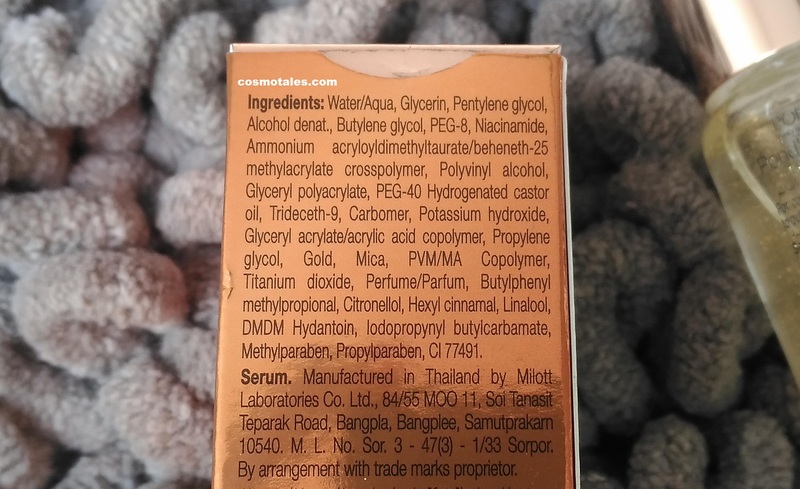 This pretty serum has stood to its words and almost did what it claimed. I incorporated this serum for the first signs of ageing. And my concerns were few enlarged pores around my nose and a few lines around the corners of my eyes. And my little obsession was towards those small dry patches around my chin area. 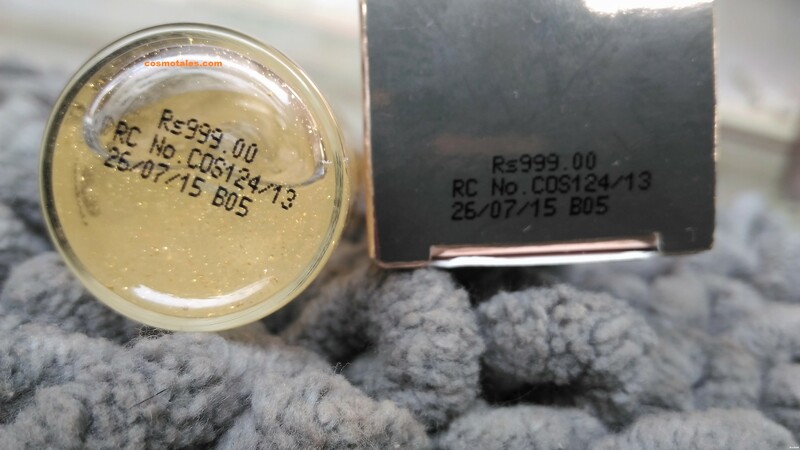 And believe me this Ponds Gold Radiance Precious Youth Serum has arrested it all. 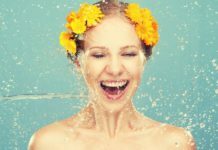 It has niacinamide as one its ingredients- that’s amazing for youthful hydrated skin. My pores size are very less visible now and same with those lines across eyes. It never felt heavy on skin and I even follow up with moisturizer after this in night. Over the time I feel my skin appears more plum, smooth, even and radiant. I love its effect and so on my way to the next bottle. Ponds has changed the packaging now- particularly the dropper but then this one is more user friendly and travel friendly. 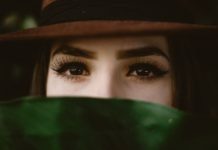 If your major concern is spot reduction or lightening those blemishes- I feel it works on it as well but at much slower pace, so if you are patient enough then try your hands on this else look for more targeted action formulas. However as far as lightening is concerned, I feel more even textured but cant comment on lightening the shade of skin however it has defiantly brightened up texture. So for me its a great buy. 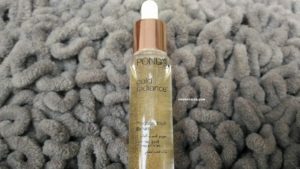 Ponds Gold Radiance Precious Youth Serum does whatever claims, would defiantly repurchase and recommend for early serum users and those who are in their 20’s and early 30’s. 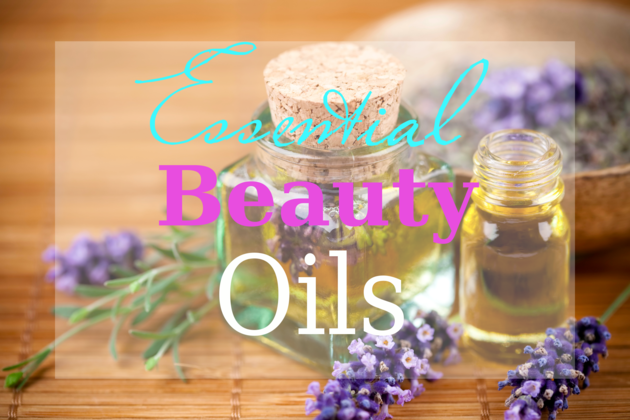 Older to it, would require more strong formulations with heavy blend of Retinol, Vit C and antioxidants.